I am taking a break with my “By the Book” series, but meanwhile I want to examine two movies which I could have discussed in this context but decided not to. In the case of The Lion King because it is no official adaptation of Hamlet in the first place and in the case of Bambi because it is similar to The Fox and the Hound an adaptation in name only anyway. The original book is mostly an exploration of religion and the relationship between human and animals (and often very depressing). This in mind I feel that the movie will be served better if I discuss it in this new series. “Double Take” is about comparing movies, which have similar themes and elements but were made in a different time period. Other obvious cases I have in mind for future discussion are for example The Rescuers and the Fantasia movies. I have to emphasise though that the point of this series is not to declare one movie as the better one (unless the answer is obvious), but to examine how the approach to those themes differ and what this says about the development of the Animation Studios and animation in general. I’ll do the following: I will identify elements which are similar in both movies and then compare how they are dealt with. Some will be quite standard – i.e. every movie has a certain set of characters, animation and music – others will be very specific to those movies. So, without further ado, let’s begin. Even though The Lion King is the movie which made a big deal around the Circle of Life, Bambi was actually the first animated movie which tackled the concept. Well, kind of. A number of elements The Lion King is famous for already turn up in Bambi: Animals gathering to witness the birth of a new “prince”, the notion of nature recovering over time, the closing of the movie with the birth of a new generation and a character taking over for another character. But despite all this Bambi creates less the notion of something circular and more a sense of live continuing and new beginnings. The forest which burns down in Bambi doesn’t just magically appear again, instead you can see the charred wood under the new plants. In Bambi, life might be swift and fleeting, but what stays is the love which will ensure that there will always be a new generation. In The Lion King the Circle of Life is a whole philosophy which boils down to everyone being part of a carefully balanced construct and if one group takes more than it should, then it leads to everyone suffering due to it. Though I am not quite clear how Scar’s leadership can cause a drought which conveniently ends as soon as Simba defeats him, the message is way more overt than it is in Bambi: If you allow destructive elements to take over the government, than everyone will suffer. (And yes, I wish that the people in Venezuela, Turkey, Russia, the UK and the US had paid more attention to said message, just to mention a few countries in which the balance has been systematically destroyed). Bambi was released 1942. The Lion King hit the theatres 51 years later. But even though there is half a century between those movies, it is oddly Bambi which is the more unusual one when it comes to portraying leadership. Even though Bambi is considered the prince, the movie suggests that his father is the leader because he is the biggest, strongest and smartest and when Bambi takes up the mantle he has already proven himself to be a great fighter, too. Though it is not like either of them ever does something especially kingly aside from looking over the forest in an impressive pose. The Lion King on the other hand has an actual royal family in the traditional sense, with Simba being the next in line for the throne even though he is still a child. And there are responsibilities connected to the position, like keeping the hyenas at bay. In short, Bambi portrays how hierarchy works in the animal kingdom while The Lion King is built on a the concept of a very human monarchy. One in which apparently the animals are supposed to be happy that the lion eats them because otherwise they might get eaten by the hyena. Yeah, I admit, I have a little bit of trouble with the notion of animals kneeling for a predator. Also with the notion that everybody has his place in live and should accept said place. It is better to take The Lion King not too literal in this regard and see the animals as stand in for different kind of people. In the case of the hyenas it is pretty obvious which kind is meant, the extremists, who believe in their own superiority. But, as the movie shows, if you actually do allow them to realize their visions, it is very much a case of “be careful what you wish for”. In this regard The Lion King adds an element which is not present in Bambi, by contrasting good leadership with bad leadership. Between Bambi and Simba, only the latter shows actual character development. We see Bambi as a babe, as a child, as a young adult and finally as a father, but his character doesn’t really change much through it. He is a little bit a blank slate, an audience surrogate. It is easy to just slip into his mind-set and experience his world from his point of view, to feel his pain and his joy, but this is pretty much all his character offers, we never learn anything about his desires, his dreams or even his opinions. Simba is the absolute opposite, after a short scene with him as a babe, we get to know his child version, who is, frankly, an arrogant brat. Zazu is right, the idea that this child might be king one day is not a pleasant one. We then see him embracing a live without responsibilities, hiding from his own guilt. And finally we see him maturing and accepting his responsibilities. Unlike Bambi he has an actual arc in addition to just growing up, though the movie doesn’t quite stick the landing. The whole message of taking responsibility is a little bit muddle up in the end, because what actually gives Simba peace is not him facing his past but discovering Scar’s betrayal. Though naturally he would have never learned the truth if not for him going back. Like I said, it’s a little bit muddled. The Lion King has clear villains in Scar and the Hyenas. Now, Scar has one of the best villain songs Disney ever created in “Be Prepared”, and his demeanour is very terrifying – at the beginning of the movie. Once he actually is in power he comes off as kind of pathetic. I used to think that this is a little bit of a let-down, but recently I have started to realize that this is actually pretty realistic. People who are interested in the position of the king without any consideration what it actually means to be king are often pretty pathetic once they have all the power and are unable to wield it in a manner which will strengthen their position. Or for the benefit of the people. In Bambi the adversary is live itself. Sure, “man” is a little bit of a villain in this because it whenever “man” turns up it means something terrible will happen in the forest, but there is no rhyme or reason to his presence, it is just something which happens once in a while, just like a thunderstorm, or a hard winter, or a rival wanting to lay claim on Feline. “Man” wrecks the most destruction during the movie, but he is still just one of the realities of live – though a particular terrifying one. There have actually been discussions which death scene has been done better, Bambi’s mother dying or Mufasa dying. I would say, it depends what you are looking for. Mufasa’s character is more fleshed out than Bambi’s mother is – who doesn’t even have a name – we get to see his terror when he realizes what Scar is about to do, we see his body and we see Simba crying beside him. All this is certainly a stab in the heart. But it is also a very expected tragedy. The movie is called The Lion King, Scar has been established as a scheming character who is out for the throne early on, and as long as Mufasa is around, he will always protect Simba. Ergo there was next to no chance that he would make it to the end of the movie. But there is a reason why the scene of Bambi’s mother dying is so infamous that even people who never watched the movie know about it. The movie establishes early on that the meadow is a dangerous place to be because of “man”, therefore it is kind of expected that something terrible might happen at one point, but not exactly what will happen, consequently her death is not as expected as Mufasa’s is. Everything about this scene, from the music, to Bambi’s mother telling him to run, to Bambi suddenly realizing that she didn’t follow is just perfect. In a way him never seeing her body makes it even more effective, because she is just gone. One moment there was happiness because they finally found some green during a hard winter and the next all of it is gone and the only thing left is emptiness. It actually feels very realistic. In most cases death is something sudden and unexpected, you rarely get to say good-bye and sit by the bedside while someone passes on. Ever noticed that Thumper and Flower have the same basic narrative function as Timon and Pumba have? 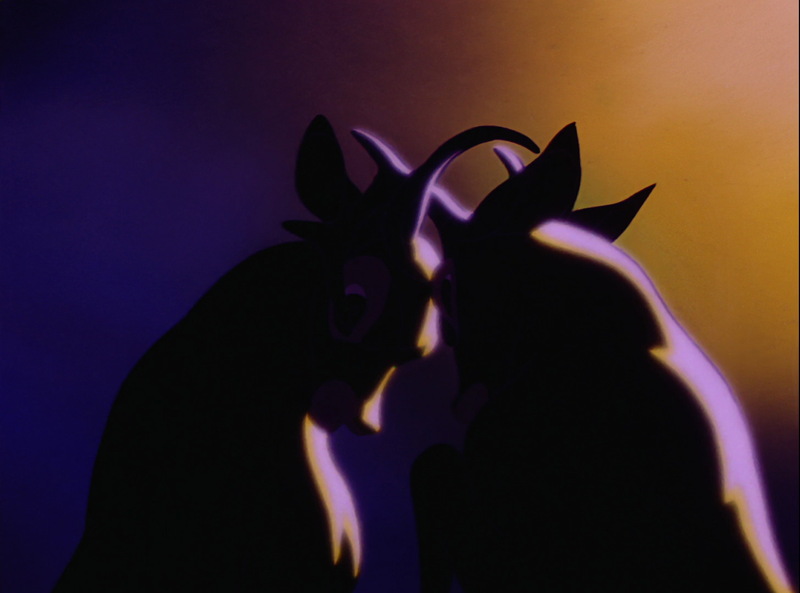 Thumper’s role in the story is pretty much to share his “wisdom” with Bambi, from teaching him his first words to showing him how much fun snow can be, just like Timon explains to Simba the concept of Hakuna Matata, though he comes more from the place of a mentor (or crazy uncle), while Thumper is Bambi’s peer, being only slightly older than him. Flower and Pumba are both comic relief, though they use a very different kind of humour. The joke with Flower is how affine and nice he is for a skunk. Pumba is one big fart joke. Another difference is that Bambi’s friends are never around to help him whenever he ends up in danger, while Timon and Pumba are supporting Simba during the final fight. They are more integral to the story than Thumper and Flower are. In addition both movies have a bird character who is mostly around to complain about the world. Bambi has Owl, The Lion King has Zazu. Those characters are pretty similar to each other except that Zazu has personal stakes in what Simba does, while Owl is more a benevolent observer. The romance in neither movie is more than a plot point to create conflict and/or move the story forward. In both cases, the protagonist has a childhood friend and falls immediately in love the moment he sees her as an adult. To the credit of The Lion King, Nala is a little better fleshed out than Feline. She has an adventurous streak, but has a better sense for responsibility than Simba has. On the other hand, though, Bambi’s approach to the whole romance matter is refreshingly honest and funny. It’s spring, it is part of the animal instinct to mate in spring, so just go with it. The Lion King pretends that there is more to the story, but in the end, it also boils down to “oh, female I know as a child, let’s mate”. There isn’t much depth to either relationship. Both movies are made for the big screen to a degree that a lot of the experience is lost if you watch them on TV. Bambi has those beautiful detailed backgrounds and often looks like a moving painting. If I have one beef with it than that the characters sometimes look a little bit too cartoony in the setting. The Lion King stands out through its use of primary colours, but also through sheer scale. 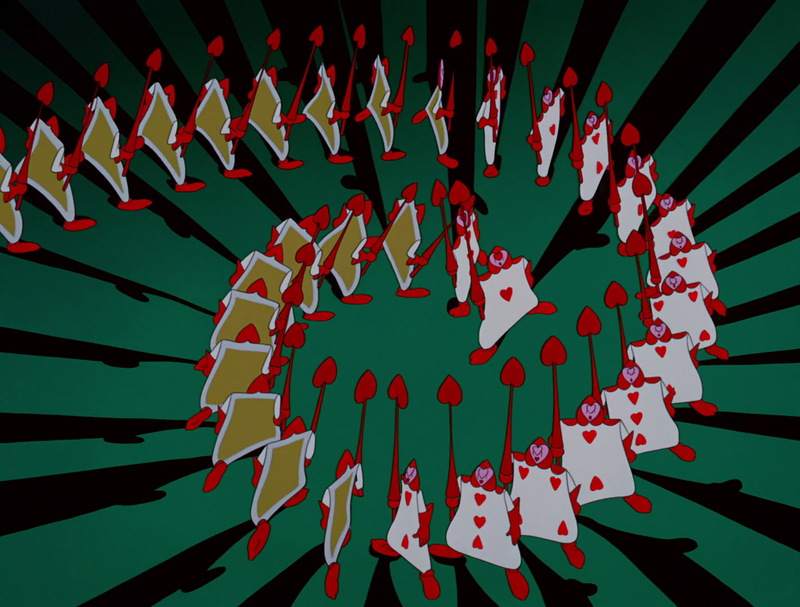 The most impressive scene is naturally the stampede, which demonstrates a giant jump in computer technology. It is also more inventive. 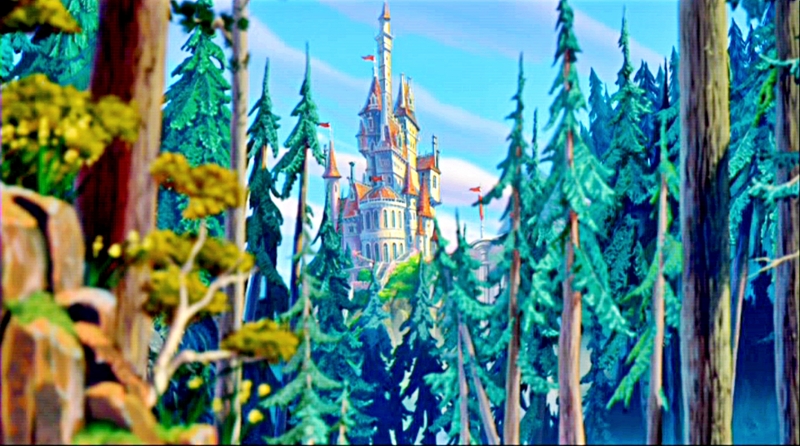 Bambi mostly uses imaginary which already existed beforehand, you could simply freeze frame a lot of moments and they look like a typical hunting lodge painting. With The Lion King it is the other way around, you see an image of someone lifting a babe and you are immediately reminded of this movie. 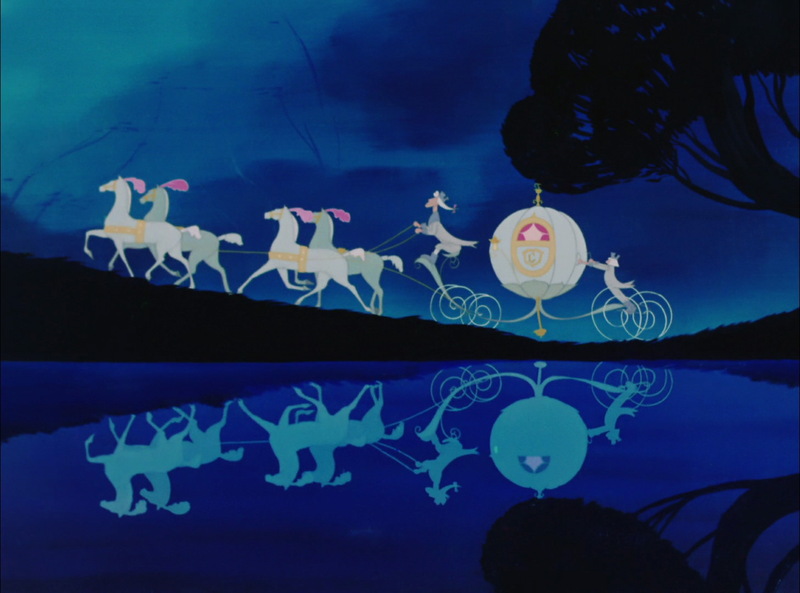 Some of what is done is based on something – for example Timon, Pumba and Simba walking over a tree bridge is similar to Aurora doing the same in Sleeping Beauty – but with a unique twist to it. Bambi is the movie you watch if you want to be in awe over the beauty of nature, but also be soothed by it. The Lion King is the movie for you if you want to be overwhelmed by the spectacle on screen and iconic imaginary. Bambi is a masterpiece of Mickey Mousing, meaning the technique of replacing sound effects with music. 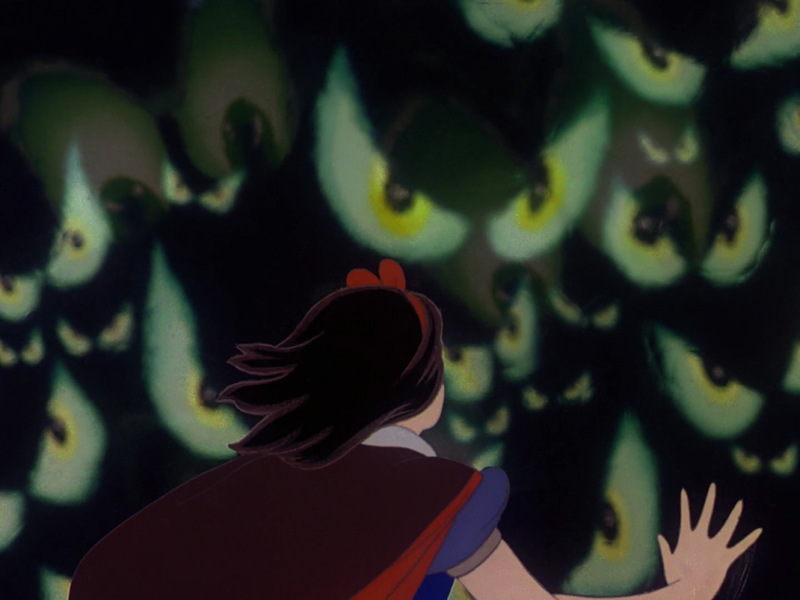 It has gotten a negative reputation with time, partly because it originated in Disney cartoons, partly because some movies just overdid it. But in fact most movies are still using the technique to a certain degree. And if there is a movie which demonstrates how much atmosphere Mickey Mousing can create if used correctly, it is Bambi. Just listen to “Little April Shower”, you can hear the rain and the thunder and the lighting in the music itself. But this is just the most obvious example of this technique, through the movie the music often sounds like wind or, for the winter scenes, specifically cold wind. In addition, Bambi is a ground-breaking movie. You know those music pieces which play only two notes in order to suggest looming danger? You know, along the line of Jaws and Psycho? Yeah, Bambi invented that concept. It’s still three notes there, but the basic idea of using a very limited number of tunes and then speed it up in order to suggest danger coming closer was first used in this movie. The Lion King can’t really hope to be similar ground-breaking in this category simply because it was created decades later. What it did start is the trend in Disney movies to use foreign language in a song to give a setting an exotic vibe. But otherwise it does fall pretty much in the pattern Ashman and Menken have codified for The Little Mermaid. Which is kind of ironic, btw. Word is that Elton John only agreed to do this project if nobody forced him to write another musical. Disney agreed and the end result was a soundtrack which is now the basis for the highest grossing musical of all time. Though while both movies feature music, Bambi isn’t really a musical. This is especially notable in the way the music is used. With one exception, all the songs are sung from the off and the one which isn’t is justified within the plot. In The Lion King there is only one song completely sung from the off (“Circle of Life”), and the character perform elaborate dance numbers while they blurt out their plans and feelings. The purpose of the music in The Lion King is character development as well as creating opportunities for the animators to go crazy. In Bambi it is used for atmospheric purposes. It still has something which passes as a love song, but otherwise it is completely devoid of the usual kind of songs to a degree, that none of the categories I put together for my Systematic of Songs would be a particular good fit for them. When it comes to the finale, neither of those movies disappoint, and they both really amp up the action by throwing fire into the mix. Notably though, in The Lion King the fire is more a background feature, something to make the battle look cool (alongside the fake slomo, a feature Disney thankfully mostly stopped using after Pocahontas). In Bambi the fire is the enemy. Bambi last big feat in the movie is not to defeat an opponent (its his second to last instead) but to outrun something which is way more powerful than he is. If there are two movies which demonstrate that having similar elements says nothing about the end result, its Bambi and The Lion King. They have similar themes, similar characters, similar plot points and a lot of similar elements. And yet they are totally different, mostly because the approach is so different. The mind-set behind Bambi was largely realism. Disney even brought real live deer to the studio so that the animators could study their movement – which really paid off, btw, if you compare Snow White with Bambi, there is a giant leap in quality regarding the animation of the animals. We are still in a period in which Walt Disney experimented a lot. His desire was to not repeat the same thing again and again but to surprise the audience with fresh ideas. Hence Bambi ended up being a slice of life story. It isn’t really about Bambi, but about the experience of growing up. The Lion King on the other hand falls into the Disney Renaissance and sadly the people who were in charge of the studio during this period were ready to milk a working formula. This is not a criticism The Lion King, despite it not being a fairy tale movie, the structure fits the story and it does enough new to not come off as stale. Even if it dips mostly into familiar structures, you can hardly argue with it when it does it so good. But in contrast to Bambi, The Lion King is more set on telling a story about a layered character with a very specific moral. That makes it kind of predictable at times, but only in the basics. You know that Mufasa will most likely die, but not that he will die by stampede, or that Disney would have the balls to show a dead body. You know that Simba will eventually go back home, but how he comes to the decision is really unexpected. And you know that Simba will triumph in the end, but there is enough going on in the finale battle to make it engaging. My experience with both movies are very different. Bambi I say the first time when I was very, very little and it frankly kind of terrified me. Though what really got to me was less the death of Bambi’s mother specifically, and more the thunderstorm and especially the damned dogs in the end. I am actually kind of terrified of dogs, and this movie is one of the various reasons why. Then came a period in which I didn’t watch it at all. I am not really the type who is into slice of life stories, for me the characters are pretty much the most important element of any movie out there. Nowadays though I kind of adore Bambi. It is not the kind of movie I would watch just for fun, but the artistry in it is something really enthralling. The Lion King I saw in theatres – twice. I was all over it during its runtime. But this is one of those cases where a movie doesn’t get better an better upon rewatch. On the small screen, it just looses a lot. It is kind of like Titanic that way. You can watch it on the small screen, but without drowning (no pun intended) in the pure scale of it the flaws in the narrative become more obvious. I was just never able to recapture the first experience of watching it, or to replace the feeling with something similar enthralling. That doesn’t mean that I don’t like the movie, it is still one of Disney’s greatest. I just don’t consider it as this big masterpiece. Maybe because I had my “shocking death experience which scarred me as a child” with Bambi while a lot of other people had it the first time The Lion King. In terms of quality those movies are on the same level. They are excellent movies which will most likely continue to be relevant, no matter how much time passes. But if I had children, I think I would show them Bambi first. Terrifying or not, it is just better suited for younger children, while The Lion King is better suited for slightly older children who might at least partly get the political aspect of it. Bambi is just a little bit more self-explanatory. And yes, I do think that every child should watch a movie in which a parent character dies on screen in a heart wrenching manner. It is a good way to prepare them for the notion of death and to give them an understanding of it. That Disney dared to venture into this territory at least twice is the main reason why those two movies are so enduring. Well, so far I moved back through the ages, so I guess it’s time to tackle a movie from Disney’s golden age. Pinocchio started, like a lot of classic novels, as a serials, which soon became popular and lead to a novel. Nowadays it has become common to analyse Pinocchio like a book for “adults” (because, you know, children’s books don’t require analysing in the minds of serious academics, we first have to declare them as “adult” to take them seriously), leading to the stories being read in a literature-historical contexts, with parallels drawn especially to the concept of the fool. But when Disney made the movie, it was still mostly seen as an educational book, used to teach children that bad deeds have bad consequences. This is therefore the most prominent aspect in the movie. To be frank: The world which is created around Pinocchio is rather odd, even odder than usual in a fairy tale. There just don’t seem to be any logical rules to it, and it’s sometimes aggravating how everyone expects Pinocchio to act reasonable even though nothing about the world he lives in is reasonable (at one point he even gets arrested for the “crime of foolishness” when he goes to the police after the fox conned him out of his money). The Disney version amplifies this even more. Seeing a talking, clothed fox acting all surprised because he comes across a living marionette is just strange. It also doesn’t help that there seems to be no consistency to what Pinocchio can survive and what not. How he can “die” towards the end, even though he apparently can easily walk under water and has no bones or anything else which could break is anybody’s guess. The Disney version is also very dark, mostly due to the animation. I have pointed out in the past already how expressive the animation in the early Disney movies is, and Pinocchio is the prime example for this. The only really inviting place in the whole movie is Gepetto’s hut, everything else is full of shadows and has a sinister vibe to it. It’s sometimes unpleasant to look it, not because of the animation is bad, but because it’s deliberately designed to be unsettling. Especially in the Pleasure Island scenes the use of shadows and strange angles signal from the get go that there is something off about this place. Pinocchio is often hold up as a masterpiece of animation, and on a technical level there is no arguing about it. The story, well, that one is another matter. I’ll do both section in one this time around, because the plot centres around Pinocchio even more than usual, since the main theme is his learning curve. And there is a fundamental difference between the source text and the movie, which influences more or less every decision Disney made regarding the characters. In the original version, Pinocchio is, in lack of a better term, born bad. He is selfish, lacks compassion and shows no appreciation for what Gepetto does for him. One early episode involves Gepetto selling his warm coat in order to buy school books for Pinocchio. Pinocchio in turn sells the school books so that he can see Stromboli’s marionette show. He only learns through experience to feel compassion (or to care about Gepetto at all). Disney’s Pinocchio on the other hand starts out as a blank slate. He immediately connects to Gepetto simply on the ground of him being his father and provider. And when he ends up in dangerous situations it’s not because he is selfish, but because he is gullible, easily lead astray by dangerous advice. This change of character is also the reason Jiminy Cricket even exists. There is a Cricket in the original novel, but its appearance is very short-lived, in every sense of the world, since Pinocchio almost immediately kills it and it only turns up later in ghost form and berates him for his wrongdoings. That Disney greatly expanded the role and made Jiminy, quite literally, Pinocchio’s consciences is necessary because of the naivety they added to his character. If Jiminy weren’t there to warn him, there would be no way that we could truly fault Pinocchio for his actions. He is, after all, just a puppet, barely a day old, so it would be more than harsh to punish him for believing his elders. But since there is Jiminy as voice of reason, the responsibility shifts back to Pinocchio for listening to the fun advice over the trustworthy one. Jiminy himself is, btw, a giant hypocrite. The whole movie he does nothing but preach towards Pinocchio, which would be okay, since that’s his job. But it’s a little bit grating that he himself doesn’t practice what he preaches most of the time and is often not there the very moment Pinocchio needs his advice the most (he also keeps ogling women made out of wood, which is just weird). The Blue Fairy gives him a job, new clothes, but is this enough for him? No, he also wants a gold medal. One thing for sure, if I had to pick a role model for my children, it certainly wouldn’t be Jiminy, and if I were the Blue Fairy, I would have told him that he should be satisfied with what he gets. Speaking of the Blue Fairy (actually the Blue Haired Fairy, but I guess blond looks more attractive? ): She is the ultimate Deus-ex-machina, in the book even more than in the movie. There she just randomly turns up, becomes some sort of mother figure for Pinocchio and usually helps him out should he really come to the danger of dying (or to test him). In the movie her involvement is slightly better explained. In the book Gepetto just happened to create a marionette out of magic wood, in the movie the Blue Fairy spelled him alive as a reward for Gepetto. This is partly an improvement because this way the Blue Fairy’s interest in Pinocchio and her being somewhat of his mother makes more sense. But it’s also a very strange reward, since the “happy outcome” entirely hinges on a piece of wood proving himself and not on Gepetto’s actions. Where exactly was the Blue Fairy when he was in the stomach of a whale? And for that matter: Why is it that the only good adult person in the movie has to endure greater hardship than any of the other truly villainous adults? This is already a problem of the novel which gets amplified by Disney’s typical black and white approach to characters. With Pinocchio it’s easy, whoever was in the hut when Pinocchio became alive is good, all the other characters are only there to lead him astray. Lampwick is a little bit of a special case, though, because while he is a “bad boy”, he actually means well with Pinocchio, looks out for him and tries to teach him his “wisdom”. Well, you could argue that he does it mostly because he likes himself in the leader role, but his “evilness” mostly consists of skipping school, smoking, drinking and destroying stuff in a house which is built for exactly this purpose. And this makes the fact that he and the other boys on Pleasure Island are the only ones who get a permanent punishment even worse (in the book he gets sold and Pinocchio finds him dying after a life full of hard work – just in case you wanted to know for sure what you only suspected). Honest John and Gideon sell Pinocchio twice and get away with it (and the gold). Stromboli (who isn’t really a villain in the novel) holds him like a slave and gets away with it (and the gold). The Coachman turns hordes of boys into donkeys and then sells them to the salt mines, where they will have a short and painful live (and I really don’t want to know what he does with the ones who still talk). And gets away with it. For all we know his operation is still in full swing. So what exactly is the message of the movie? Don’t trust anyone but your parents, be honest as long as you are a child, but when you reach adulthood you have the power to do whatever you want? One thing for sure: Neither The Hunchback of Notre Dame, nor The Black Cauldron is the darkest movie Disney ever made, this honour belongs to Pinocchio. And it is not because Disney went for the dark imaginary out of a whim, it’s because Pinocchio is a very messed up story which resulted in a very messed up movie. The truth is: Disney actually disneyfied the story considerably. At least Pinocchio doesn’t get his feet burned away because he sleeps too close to the fire or gets hanged. The whole point in both, the novel and the movie, seems to be that whenever Pinocchio (or another boy – girls are apparently always following their parents advice) does something bad or foolish, he gets punished in the most gruesome way, and the only reason he survives long enough to see the end of the book is because he is a puppet and the blue fairy turns up whenever the situation becomes really dire (though the original serial did end with Pinocchio dying – the part with the Blue Fairy was added later, which explains why she turns up so randomly). The interesting part about the songs in Pinocchio is that they are all justified by plot. Usually when characters sing in a Disney movie, I tend to take it more symbolically. Meaning, those people do not really prance around in order to shoot their feelings to the world, it is more like a transitional element. But in Pinocchio the songs feel more like something which is actually happening within the story. They also hold up particularly well. “When you wish upon a star” is naturally to this day the Disney hymn whose meaning not just for this specific movie about for the Disney company in general I have already analysed in the past. The other songs aren’t necessarily Disney classics, but they are memorable enough that Marvel can put a creepy version of “No strings on me” into a trailer and expect the audience to recognize it. Yeah, I guess it should be very obviously by now: I don’t like the book, I don’t love the movie. But if one had to make a movie based on Pinocchio, it should be like the Disney version. It should display this level of careful animation and dark images and it should attach a nice “when you wish upon a star” message to it to soften the dark aspects a little bit. And to its credit, while very exaggerated, it does address true dangers. The people who promise teenagers a great career or lure children away from their parents with sweets, those are the predators a child is protected best from when it is aware of them. I’m not a fan of using fear in child rearing, but if this movie will keep children from going with a stranger, a week of nightmares about the coachman might be the lesser of two evils. Last time I discussed the history of western animated movies, now let’s take a look how Disney figures in all this. I have decided to follow the examples of some of my fellow bloggers here and forgo most of the usual naming of the eras and instead came up with my own classifications. Note that while I mostly sought inspiration from the usual eras of art and literature, my reasons for picking the names are not always connected to their original meaning. It is usually called the “Golden Age”, but if you really think about it, this was the golden age for animation in general and not for Disney specifically. Plus, when it comes to movies, the age was not that “golden” for Disney at all. Yes, they made a ton of money with “Snow White and Seven Dwarves”, but the only other movie which really was a financial success during this time was “Dumbo” – which was originally a short extended to a movie in order to recoup the losses from “Fantasia”. This in mind, it is kind of misleading to talk about a “Golden Age”. It is the age though, in which most of the Disney staples were established. “Snow White and the Seven Dwarves” was the beginning of the fairy tale based movies which are nowadays marketed in the Disney Princess Franchise. “Pinocchio” started the concept of taking well-known literature classics and making them their own. “Bambi” explored the possibilities of telling stories from the perspective of animals. “Fantasia” – well, that is pretty much a category on its own. And “Dumbo” is the prototype of the more child than family oriented movies Disney sometimes produces. The sidekicks, the use of music, the type of villains, the Disney acid sequence, all this was first done back then and has prevailed in Disney movies to this day. Therefore I did consider “Disney Classic” as name for this era, but it doesn’t really fit the style of the movies, which it has nothing to do with Greek or Roman antique. Unshavedmouse calls it the “Tar and Sugar Era” due to the tendency of the movies to alternate between really, really sweet and really, really dark. Those are the movies which made children literally piss their pants (“Snow White and the Seven Dwarves”), which created villains which actually got away with their every deeds (“Pinocchio”) and which traumatised the audience with the dead of Bambi’s mother. “Fantasia” is to this day the only Disney movie which openly displays breasts – in a close-up nonetheless. It is something we tend to forget nowadays, but those movies were pushing the envelope at every turn. All the movies of this era are kind of dark – and I mean this literally. The “sweet” moments are colourful and wholesome, but those moments are surrounded by darkness. Especially in “Pinocchio” Gepetto is practically a carrier of light…scenes with him are considerably brighter than the scenes without him. 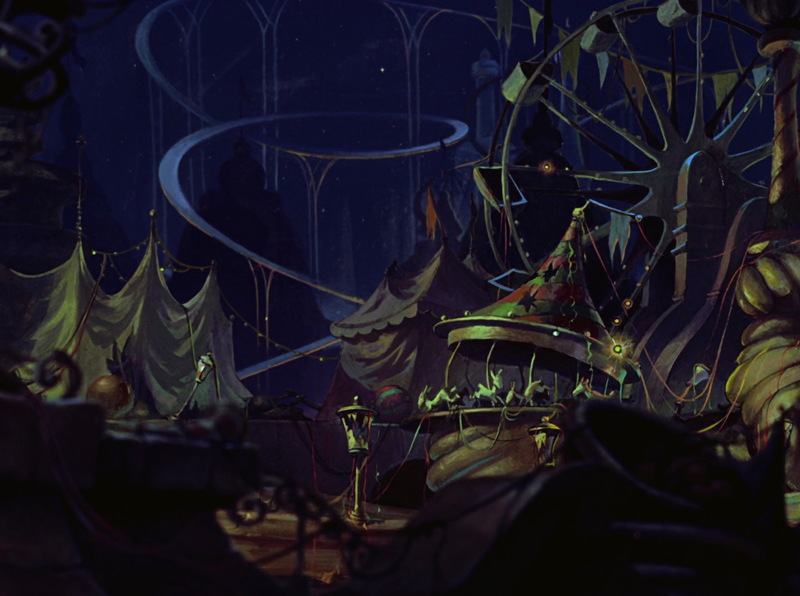 Even the colourful circus world of “Dumbo” is often swallowed by long shadows and darkness. Expressionism is at its core about causing a reaction, it is not about what is real, but about causing emotional reactions. That can be the colourful world of Franz Marc or the disturbing one of Edvard Munch. In filmmaking, especially the German Expressionism is notable for the use of shadows and the deliberate use of unrealistic settings, and this was a movement which influenced the filmmakers of Hollywood considerably in the 1920s and 1930s. It has become some sort of running gag to joke about the transition in “Bambi” from the grief over Bambi’s mother to happily chirping birds, claiming that this is the feeble try to soften the blow. I don’t think so, quite the opposite actually, because that’s exactly what Disney during this time is about. It deliberately creates a roller-coaster of feelings, jumps from the Snow White’s fear in the woods to an inviting meadow with next to no transition, from Dumbo visiting his mother to joking clowns and pink elephants. One moment Bambi is playing in the snow, in the next he is nearly dying of hunger, one moment he is quite literally in the seventh heaven, and the next he has to overcome a rival. Disney is still good in playing with the emotions of the audience. But the sudden shift from one extreme mood to another, that is typical for this era. As are truly disturbing sequences which tap deep into the emotions of the audience. In retrospect it makes sense that Disney might have been influenced by the styles which were prevalent in filmmaking during this time, after all, he had to take something as a base for his first animated movies. Movies, no matter if animated or not, are always the product a certain “Zeitgeist”. Most Disney movies are created to be timeless, but they never can totally hide when they were made. Ariel’s bangs and puffy sleeves are just as typical 1980s, as Snow White’s round eyes, long eyelashes and short hair scream 1930s. But I think in no era of animated movies is the connection to the style of live-action movies which were made around the same time as obvious as in the early beginnings. Theoretical the next era of Disney is the Package Era….but to be honest, I refuse to consider this really an era of Disney movies. To me it is an era in which Disney was prevented from making movies due to the war and instead threw together mostly unrelated shorts to fill some time, bolstered up with a half-assed frame device. If I sit down and spend an afternoon watching Disney shorts, I still didn’t watch a movie, even if the running time has the proper length. Fantasia is a movie because it has a consistent tone, a consistent theme and a working concept. The only movie from the package era which comes at least tries to have something like this is “Saludos Amigos”, and the running time of this one doesn’t even come close to proper theatre length. It is even shorter than “Dumbo” and in case of “Dumbo” Disney had to fight to classify it as a movie. No, the next real era of movie making starts in 1950. A popular term for this era is the “Silver age”. The “Restoration Age” is also common, especially among people who don’t like the implication that this era was somehow lesser than the “Golden Age”. But I didn’t really like this term either, because while the studio was in a process of financial “Restoration”, the movies actually picked off where they left. Those are projects which were in planning before the war changed everything – consequently “Cinderella” is the logical next step for the fairy tale movies, and “Alice in Wonderland” as well as “Peter Pan” are literally fulfilling a promise “Pinocchio” already made by showing the respective books in a scene. the constant dog perspective of “Lady and the Tramp” and the especially the painting-like design of “Sleeping Beauty” make every singly movie of this era something special. Compared to the Disney Expressionism the level of “darkness” is notable toned down, but not gone. If beforehand the world was a dark place with a few bright spots in it, now the world is bright place with some dark spots in it. “Lady and the Tramp” for example has for most of the movie a greeting card vibe, in both tone and drawing style, but especially the scene in the dog pound plunges as deep into darkness as a movie from the Expressionist Era. Personally I think that neither Disney nor any other studio ever reached the level of artistry which we got during this sadly way too short era. Ironically, none of this movies got the acknowledgement they deserved during their initial release. “Lady and the Tramp” was beloved by the audience, but not by the critics, who actually had the audacity to complain about the quality of the animation. “Sleeping Beauty” got slammed for being too similar to “Cinderella” and especially “Snow White”. Which shows that critics can err, too. The Disney Odyssey went for “Modern Era”, and it certainly is a good fit, for multiple reasons. One is the technical aspect, and the keyword is xerography. Up to this point, the movies were hand-inked, which is a slow and expensive process. As a result even successful movies ended up underperforming in the box office in relation to the production costs. Disney had to make a decision to either shut down the studios or to cut down costs by using xerography. He didn’t like it, but he went for the latter option. The process allowed the animators to print their drawings directly on the cells. But it has its limits. 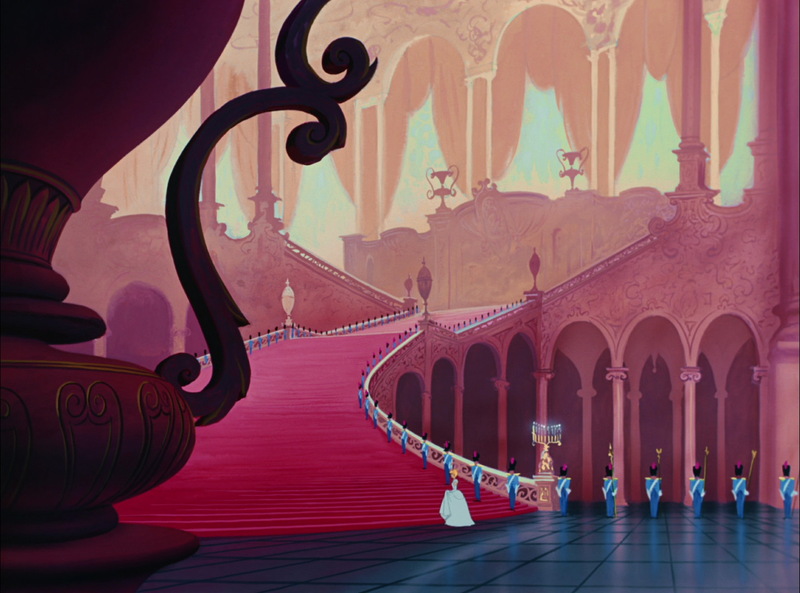 Initially only black lines were possible, which heavily influenced the style of the movies. The Unshavedmouse calls those first years the “Scratchy Era”, based on the harsh looking dark lines in the animation. Despite all the arguments for “Modern Era”, I feel that “Disney Impressionism” is an even better fit. For one, Impressionism is in a way a countermovement to the Romantic (one can also see it as a culmination of it, but the original thought was to break away from this era). And that is exactly what Disney did during this time, a thematically and stylistic break compared to the movies which came beforehand. Instead of fairy tales and classic stories, most of the movies from this era are based on current books. The settings are less “once upon a time” and more “now”. That is especially evident in the music used. Forget the chorus and the operatic voices, now we have cool beats to offer. Impressionist paintings are most notable for the artist not trying to hide the brush strokes. And again, that is exactly what Disney did, too. Since they first had to use the black lines, they mostly didn’t even try to hide them but made them part of the style. And if you look at the backgrounds, they are way less detailed than what Disney did beforehand and seeing the way they tend to get blurry in the outside settings, they have quite an Impressionistic feel to it. 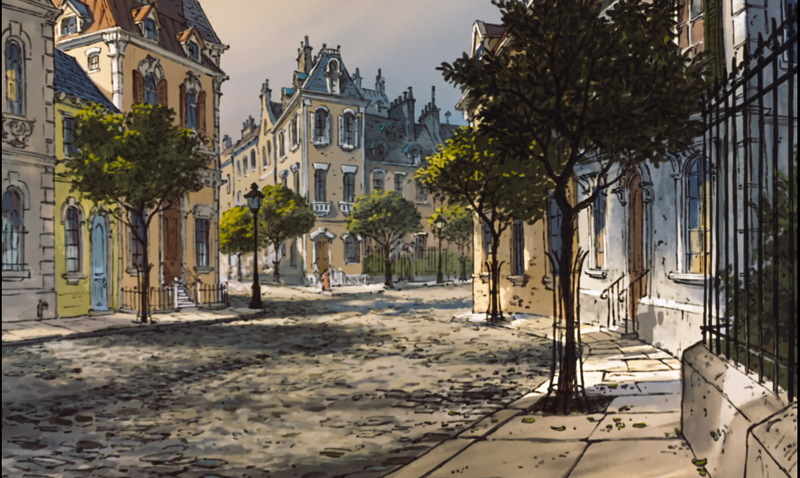 This is especially evident in “The Aristocats”, due to the movie being set in Paris. The scale of the movies are also less “grand” than in the prior eras. This is Disney at its most modest, and it has nothing to do with the chosen themes, but with the approach to them. In “Pinocchio” Disney told an elaborate story about a protagonist learning important live lessons with no less than four villains, but in “The Sword and the Stone” the wizard duel is the sole high point of the movie. If one compares “The Aristocats” with “Lady and the Tramp”, the former seems to be downright pedestrian. It is hard to consider any of the movies made during this time as one of the “big” Disney movies. It is just too evident that Disney was cutting corners, “Robin Hood” being the worst offender. The sketchy design and the reuse of animation not only from other Disney movies, but also from the movie itself is just too obvious, and it speaks for the skill of the animators that they were able to cobble together a really good movie on their tight budget. But it could have been a great one. There is one exception, though, and no, it is not the “Jungle Book”. Despite being a big success and a popular movie, I think the crown for the best movie of this era goes to “The Adventures of Winnie the Pooh”. In a way it is captures the spirit of the era perfectly. Impressionism has always a little introverted feel to it, and you can get more introverted than entering the fantasy world of a little boy and reflecting about childhood. It is certainly not a flashy movie, but it is one of the most thoughtful movies Disney ever made. Otherwise though the usual result during this era is something between “okay” and “good, but it could have been great”. Artistically speaking things were looking up in the 1980s, when xerography was no longer limited to black lines, but at this point the studio was struggling in other regards. First Walt Disney died, and even though he hadn’t really been that involved in the studios during that time with the exception of some pet projects like “The Jungle Book”, the studio had suddenly lost its face and in a way its voice. A big cooperation doesn’t necessarily care for the artistic merit of a movie, but about the money it makes. They don’t tend to be open for experiments. But that was exactly what Walt Disney was about. Projects like “Fantasia”, “Bambi” or “Sleeping Beauty” were not about the bottom line, they were about challenging the audience and offering something new. In general there was a change of generation going on in the Disney Studios during that time – and a fight between old and young. “Fox and Hound” is somewhat infamous, not just for being the last movie in which the “nine old man” had a hand it, but also for the discussions surrounding it. That Don Bluth “stole away” some of the most talented young animators in the studio during production (thankfully a lot of them decided to come back just in time to create “Beauty and the Beast”), left the studios which animators who created what was at this time Disney’s most embarrassing failure. “The Black Cauldron” has nowadays a fan following and is popular in Asia, but it is still the movie which lost to the Care Bears in the box office, and it is not hard to see why. I counted the 1980s to the Disney Impressionism, but it is more an era of transition, and it is mostly “Oliver and Company” with its sketchy background which made me decide to not do an extra cut for four movies. The next era of greatness didn’t come out of the thin air, it built up for a couple of years, and I think “The Great Mouse Detective” as well as all the talent Disney poached during the production of “Who framed Roger Rabbit” was laying the groundwork for the following era. And when it came, it brought Disney to new highs. Every animation fan knows this term, and who am I to argue. It is the fitting word for this era, and not just because Disney went back to its roots. Deciding when it actually started was the harder task. Normally “The Little Mermaid” is considered the first movie of this era, but from a technical point of view, it should be either “The Great Mouse Detective” or “Rescuers Down Under”. The former because this was the first movie which used extensive computer animation, the latter because it was the first movie which used the CAP System (while “The little Mermaid” is in a way the crowning achievement of xerography). I nevertheless went for “The Little Mermaid”, too, because of thematic reasons. 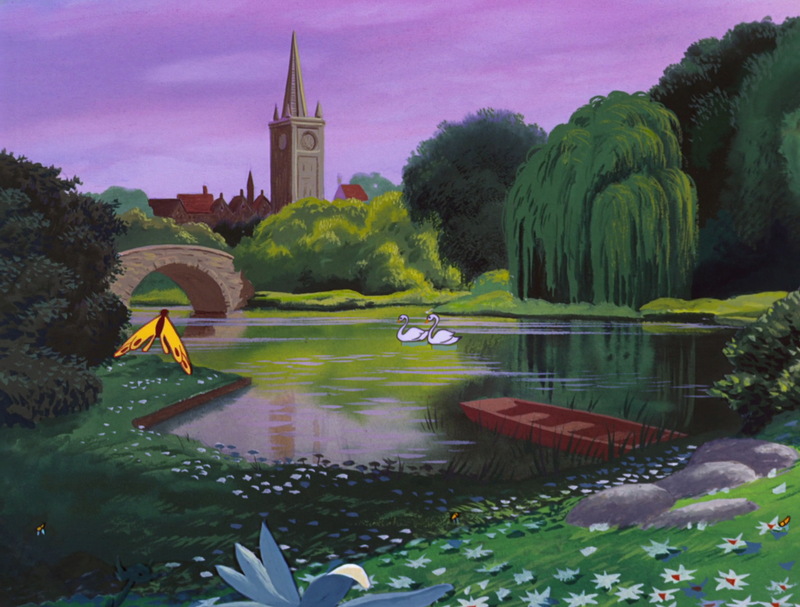 Disney Impressionism was all about telling stories from the perspective of animals. “The Black Cauldron” is the one sole exception, considering that even “The Sword and the Stone” has long passages in which the human characters are turned into animals. “The Little Mermaid” started a string of movies with human characters, “Rescuers Down Under” being the (often forgotten) exception. “The Little Mermaid” was also the first time Disney went back to their fairy tale movies in twenty years. And it was the first movie which used the Broadway formula. Now there have been movies with Broadway-like music beforehand. But Howard Ashman and Alan Menken perfected this structure to a degree that you can turn most movies made during this era into actual musicals with next to no trouble (which Disney eventually recognized too and did). “The Little Mermaid” was also the first fully animated Disney movie since “Dumbo” which won an Academy Award instead of just getting a nomination, and not just one, but two, in the usual categories “Best Original Score” and “Best Original Song”. The movie which embodies the spirit of the era the best to me is “Beauty and the Beast”, and not just because it might be the critically most acclaimed movie in the Disney line-up. To be the first animated movie ever nominated for an Academy Award for the Best Picture is already an impressive feat which won’t be topped until an animated movie actually wins. To this day “Beauty and the Beast” is the only animated movie which did it before the number or possible nominations was raised from five to ten and the only traditional animated movie at all which managed this (all the others are Pixar-movies). “Aladdin” and “The Lion King” were unbelievable box-office successes, too. “Beauty and the Beast” set the standards for this era more than even “The Little Mermaid”, since it not only has Menken and Ashman on the top of their game (not only did they win yet another two Academy Awards, no less than three songs were nominated for “Best Original Song”), it also took full advantage of the CAP system with its bold camera movements. As little bonus, the design of the Beast’s castle is based on the Château de Chambord, meaning on Renaissance architecture. The Broadway formula became a blessing and a curse for Disney. A blessing because the studio reached greater highs than ever. A curse because Disney did nothing else as a consequence. Repeating the same structures resulted in a backlash and by the time Pocahontas hit the theatres more or less everyone was joking about Disney doing the same again and again. It didn’t help that Pocahontas, while top notch regarding animation and music, had a mediocre story at best. Disney reacted by trying to mix the formula up a little bit “The Hunchback of Notre Dame” tried to do what the Classic Disney movies did by pushing the envelope a little bit, but was too inconsistent in tone in the end. “Hercules” tried to repeat the success of “Aladdin”, but ended up being kind of a mess. “Mulan” was a really good movie but not different enough on the surface to distinguish itself. Tarzan was the last attempt to connect to former successes, and the first movie since “Rescuers Down Under” in which the main character doesn’t sing (most of the songs are sung from the off instead). Also the last movie which got an Academy Award (Best Original Song) for a long, long time and that despite the fact that only two years later a new category for “Best Animated Feature” was introduced. While Disney struggled, Pixar managed to offer the audience something new in both animation style and storytelling, and won one Award after the other. Disney needed a new approach – and nearly ten years to find it. It is really hard to find a common theme with Disney movies during this time – or a common style. Some of them look like they could just as well be made during the Disney Renaissance, others are so different, you could easily sell them to be the product of another company. Most animation companies which are active today were either founded in the late 1990s/early 2000s, or they were around earlier but decided to try their hand in movie making around this time. On top of this, it was the time of the block buster serials. “Lord of the Rings” and “Harry Potter” draw the audience into the theatres, while movies like “Treasure Planet” were overlooked. Disney even made itself concurrence with the Narnia franchise. “Fantasia 2000” was a pet project of Roy Disney, trying to continue the legacy of “Fantasia”. “Dinosaurs” was the first try in CGI animation, relying heavily on displaying technical achievements in this area instead of creative story-telling. “The Emporer’s New Groove” was a little bit like a marriage between Disney, Pixar and DreamWorks, being a buddy movie (typical Pixar) with a lot of self-referential jokes (that was DeamWorks fad to joke about Disney) build around a redemption story. “Atlantis” and “Treasure Planet” are both non-musical movies with more than a hint of steampunk thrown in. 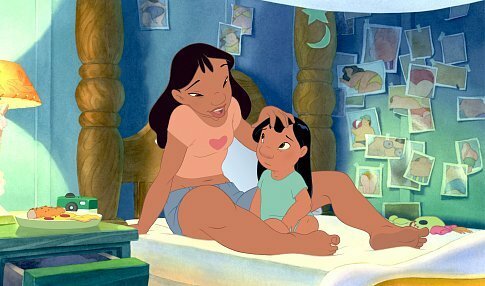 “Lilo and Stitch” falls pretty much in its own category and might be the best attempt to redefine the studio, with his readiness to acknowledge real-life problems and discussing them in a Disney-typical setting. It also is a clear departure from the usual Disney style, which feels somehow more genuine despite being highly stylized. “Brother Bear” kind of tried to go in the same direction just grander, but the movie lacks the unpredictability which is so much fun in “Lilo and Stitch”. Plus, at this point the company had already decided to close down the department for traditional animation, with “Home on the Range” concluding an era in a disappointing fashion. I guess, Disney kind of tried to end this era forcefully and starting a new one with CGI movie. It didn’t really quite work out that way. Changing to CGI did nothing to allow Disney to find its voice again – at least no initially. The studio made one last attempt to relive the “good old times” with “The Princess and the Frog” before finally finding a new approach which worked. And imho it didn’t work because it was CGI, it worked because Disney found its own voice again. History sometimes repeats itself. It repeats itself so much, I seriously considered calling this era “Neorenaissance”. Again Disney figured out the direction it wanted to take next, but this time it was not about human vs animal characters but about traditional animation vs CGI. Again there were movies which lead up to this new era, again there is a string of successful movies with one forgotten movie (“Winnie the Pooh”) in-between and again Disney is breaking all box office record. If “Hero 6” surpasses “Frozen” the same way “The Lion King” surpassed “Aladdin”, the pattern is complete. But this isn’t the Disney Renaissance. It is not about repeating the same formula again and again. Oh, they do it with their Disney Princess franchise, but not with their other films. No, what Disney is really doing is building up on the properties they own and redoing old concepts but with a modern twist. 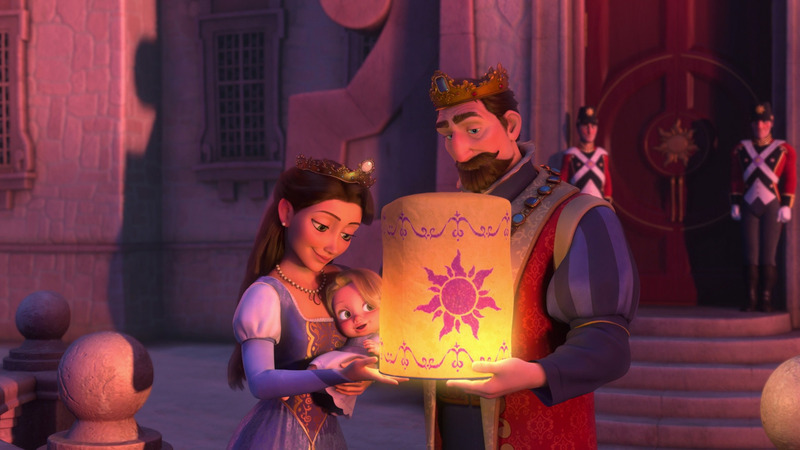 I think the defining movie of this era is “Tangled”, because of the mind-set behind it. CGI movies tend to be to a certain degree not about what you want to do, but about what you can do. But for “Tangled” the animators did their very best to bend CGI in the shape they needed to create a blend of traditional and CGI animation. The movement, the shadowing, the hair – it didn’t matter how much effort it was to write and rewrite software as long as the result looked how the animators wanted it. Rococo is a very playful and detailed style which is very evident in “Tangled” – not exactly a surprise since the inspiration for the movie was the Rococo painting “The Swing”. But this detailed and playful style carried over to the movies after it, too. One can watch them again and again, and there are still new details to discover. The different kinds of fabric structure used for different kinds of clothes paired with flourish ornamentations, little embellishments and hidden jokes in the backgrounds and an overall sense of fun, all this are typical for the current Disney movies. As are one-adjective-titles and DreamWorks-Style trailers. With Frozen Disney finally managed to produce a critical highly acclaimed movie and to get and Academy Award for “Best Animated Feature”. It took Disney only 13 years (though I personally think they deserved it for “Wreck-it-Ralph” already). And that concludes my little overview…for now. I will certainly add to it when new movies hit the theatres. But for now it looks like Disney managed to struggle to the top again. I certainly look forward to their next movies.